Today, we want to share this free track by some upcoming producers from Sweden called Million Faces. Their debut song, which is available for free, is called “Dreams Are Waiting” and in our opinion it represents the summer feeling most of you are missing right now. 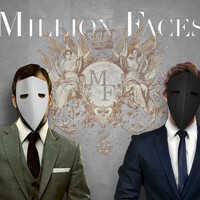 Million faces are a duo being in the business as producers and songwriters for a long time and they have been discovered by the same person who discovered the pop group Ace of Base. This track is of course a mainstream song, made for the masses, but as we can say, there is a lot of upcoming stuff which is promising and we just wanted to make sure our readers keep an eye on them. To download the track, just check out the Million Faces soundcloud profile. If you like the track feel free to follow them to be informed about their latest stuff.